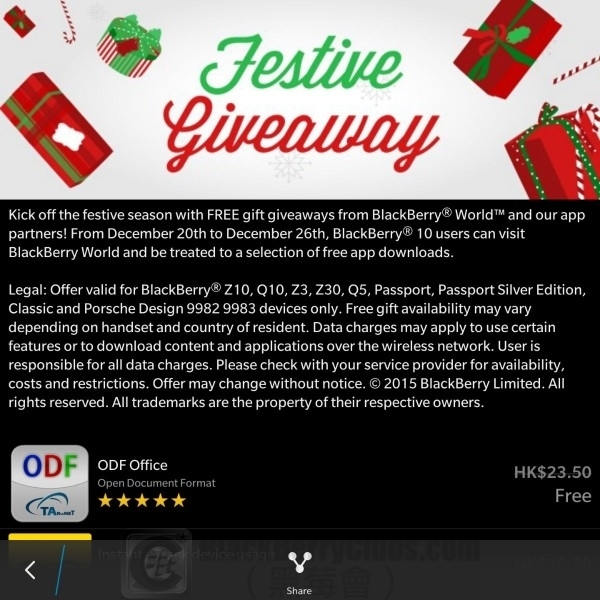 Kick off the festive season with FREE gift giveaways from BlackBerry® World™ and our app partners! From December 20th to December 26th, BlackBerry® 10 users can visit BlackBerry World and be treated to a selection of free app downloads. Legal: Offer valid for BlackBerry® Z10, Q10, Z3, Z30, Q5, Passport, Passport Silver Edition, Classic and Porsche Design 9982 9983 devices only. Free gift availability may vary depending on handset and country of resident. Data charges may apply to use certain features or to download content and applications over the wireless network. User is responsible for all data charges. Please check with your service provider for availability, costs and restrictions. Offer may change without notice. © 2015 BlackBerry Limited. All rights reserved. All trademarks are the property of their respective owners. 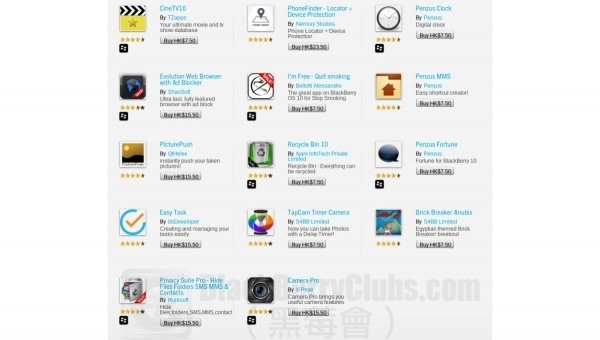 This entry was posted in [ BlackBerryOS10 News ], [ Exclusive News ], [ Hot News ], [ Exclusive News ], BlackBerry Collection, [ Exclusive News ], Leaked OS, [ Hot News ], Official News, [ BlackBerryOS10 News ], Porsche Design-Series News, Product Reviews, [ BlackBerryOS10 News ], Q-Series News, [ Exclusive News ], Skill Tips, [ BlackBerryOS10 News ], Z-Series News and tagged in BlackBerry World, Hong Kong, HongKong, 慶祝, 限免, 限免App.